Amazon's choice of Northern Virginia for half of its new headquarters will jump-start Crystal City, which is still recovering from Base Realignment and Closure-related office vacancies. And, it's good business for Crystal City's dominant commercial real estate owner. WASHINGTON — Amazon’s choice of Northern Virginia for half of its new headquarters will jump-start Crystal City, which is still recovering from Base Realignment and Closure-related office vacancies. And, it’s good business for Crystal City’s dominant commercial real estate owner, JBG Smith. Did Amazon rename Crystal City? JBG Smith has an exclusive leasing and development partnership with Amazon as part of the company’s decision to invest $2.5 billion there. That will include leases at existing buildings and the development of a new headquarters location in what is now dubbed National Landing. National Landing encompasses Crystal City, the eastern portion of Pentagon City and the northern portion of Potomac Yard. 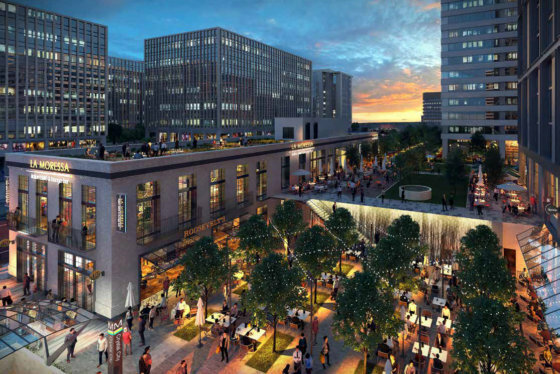 Within that area, JBG Smith owns 6.2 million square feet of existing office space and 2,850 units of existing multifamily space, and controls 7.4 million square feet of additional development space. That does not include Amazon’s agreement to purchase additional land owned by JBG Smith, where one of the new Amazon HQ2 buildings will be located. “This decision is a game-changer for our local economy and will breathe new life into a market that is still recovering from the headwinds of BRAC, the global financial crisis and sequestration,” said JBG Smith CEO Matt Kelly. Lease 500,000 square feet of existing office space at 241 18th St. South, 1800 South Bell St. and 1770 Crystal Drive. Purchase land from JBG for potential development up to 4.1 million square feet. Start predevelopment and planning of the first office building before the end of 2018, with construction expected to begin in 2019. 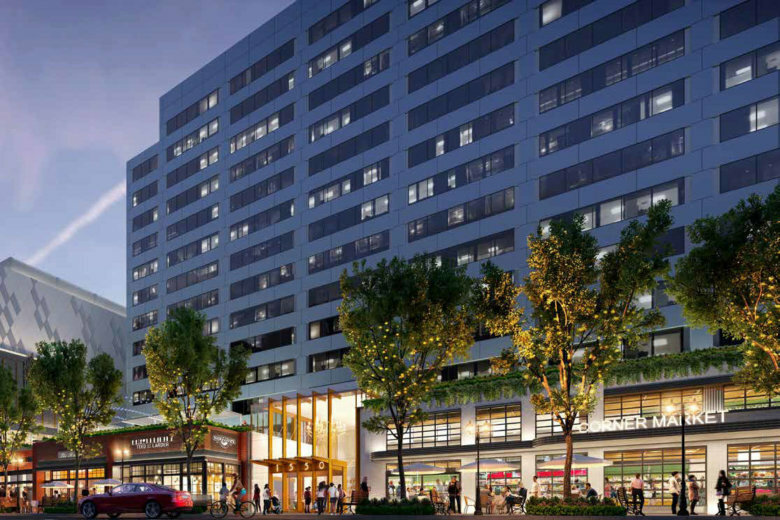 JBG Smith will serve as property manager and retail leasing agent for all Amazon buildings in National Landing. Amazon also has the option to expand its footprint in the National Landing area to 8 million square feet. Virginia is also investing $195 million in infrastructure improvements, including improvements to the Crystal City and Potomac Yard Metro station, a pedestrian bridge connecting National Landing and Reagan National Airport, and safety improvements for pedestrians crossing U.S. Route 1. Big question for Amazon’s 2 chosen cities: Will it pay off? Virginia Tech’s ‘Innovation Campus’ played a key role in Amazon’s HQ2 decision — so what is it?